Back in 1997 Bullfrog Productions and Electronic Arts released a quirky and funny little management simulator called Theme Hospital. Because of how much I loved this game, it’s hard for me to imagine why it’s taken so long for us to finally get a spiritual successor, if not a sequel. 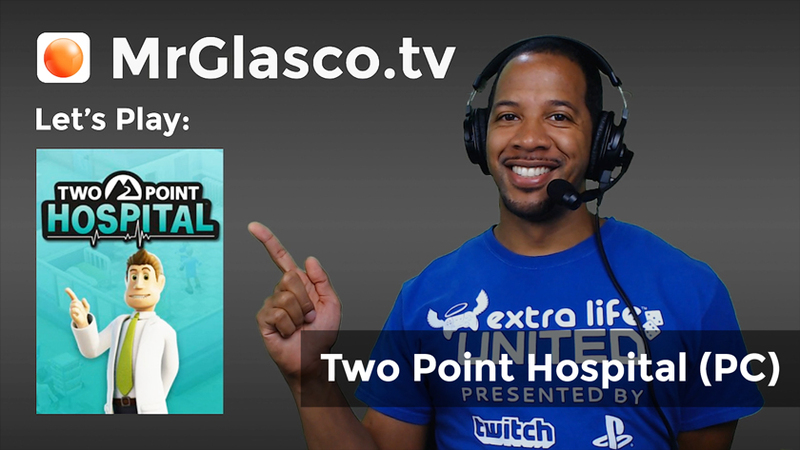 Business and politics aside, we now have Two Point Hospital and it’s time to check in! So I’m pretty happy with Two Point Hospital, thus far. In my opinion, a couple of things that make Theme Hospital a better game for me is that it didn’t have a mobile platform feel and there’s a second currency for unlocking items in Two Point Hospital that reeks of an removed micro-transaction system. This is at least a good sign that SEGA learned from the backlash against Electronic Arts with micro-transactions in their games. Also, while I feel like there is potentially more variety and depth with Two Point Hospital over Theme Hospital. I feel like Theme Hospital ALWAYS kept you in the loop with what was going on in you hospital, almost to a fault. Unless, you’re like me and enjoy micro managing every aspect of your hospital’s operation. In contrast, it sometimes feels like I’m not as in control with my Two Point Hospital scenarios as I would have been in Theme Hospital, but this could be seen as a good thing for the sake of “realism” or the challenge. I’m looking forward to playing more of this game both on and off stream. Because of my previous experience, this initial gameplay felt a little tame, and I look forward to the stress and chaos of future hospital scenarios. I hope that you will join me. Next Next post: Let’s Play: Marvel’s Spider-Man (PS4) Spidey HYPE!! !